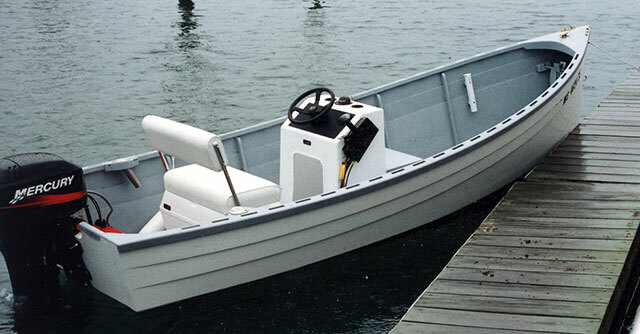 Father and son, Roy Davis Sr. and Roy Davis Jr., built this 15'10" lapstrake, flat-bottom skiff THE LONG POINT over about 15 months, from June 1999 to September 2000. Thomas J. Hill, of Burlington, MA is the designer. 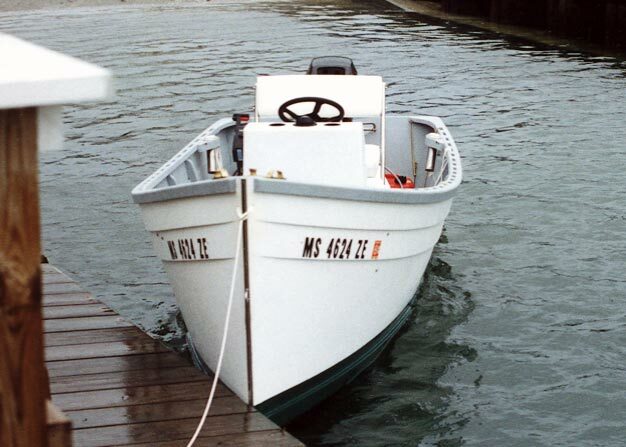 They power it with a 30-hp Mercury outboard.